We hope you’re enjoying a lovely summer thus far. This is the season when tomatoes are turning red, strawberries are appearing and there is more basil and mint than anyone knows what do with! This conjured up images of the great food markets of Italy and the rows upon rows of gorgeous field tomatoes, citrus of all kinds, huge eggplants, waxy beans, peppery lettuces. And then the cheeses. And the oils. And the wines. Oh, the wines! What a paradise for foodies! So, here are some of our most exciting wines from Italy, but this only scratches the surface. We represent twenty Italian winery partners, and more than 30 wines available from Italy daily, in addition to 250 other wines from around the world. Questions? Feel free to call me. I’m always happy to “talk wine”: 647 955 8872 or c.mclean@rogcowines.com. I hope to hear from you. Conegliano Valdobbiadene Prosecco Superiore DOCG is simply “first-growth” Prosecco terroir. Steep hillsides wrinkled by ancient glaciers and rivers provide well drained, mineral-rich soils in which the Glera grapes find their character. 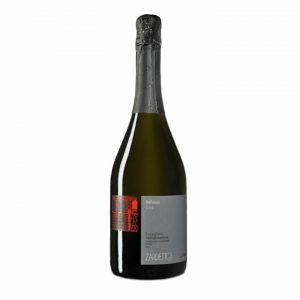 Hand-harvested and fermented in specially designed tanks, Zardetto’s “Refosso” 2016 is a complex, structured and mineral-inflected Prosecco, but as one expects, the wine is bright and fresh and easy-drinking as well. 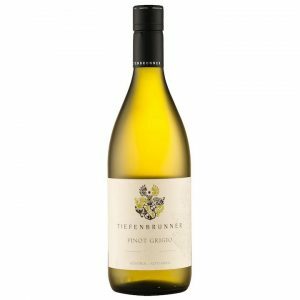 Tiefenbrunner’s Pinot Grigio is a classic! In fact, it’s been one of our company’s best selling wines for decades. What makes it so good? For over 150 years the Tiefenbrunner family have been farming in vineyards in Entiklar, Kurtatsch and Margreid in Italy’s Alps. When you grow grapes on mountain slopes, the soils are thinner, the UV rays are more intense, the winds are cold, and the days are long. These factors combine to produce intense, thick- skinned fruit, which in turn makes incredible wine. The wine is a sunny sand-yellow in colour, with an open bouquet of green herbs, ripe pear, and melon. Fine chalk, lemon, and quinine on the palate. The fruit exhibits a wonderful impression of ripeness throughout. It is fermented in stainless steel and ages on its lees (spent yeast cells) for four months before bottling. This builds harmony and richness while balancing against the natural acidity of this alpine fruit. Years ago while in Verona, a dinner of full-blown wine geeks became instantly more interesting when someone ordered an old “Gris”, and I was immediately captivated. I knew then that we just had to bring these wines to Ontario. That week we met with the owner Alvaro Pecorari, and we’ve been partners ever since. “Gris” is a one-of-a-kind, barrel fermented, barrel aged Pinot Grigio culled from a vineyard of the same name, located outside of San Lorenzo, in Italy’s Friuli region. Hand-harvested fruit is fermented in barrel, and then rests on the lees for 11 months in that same barrel. The battonage is frequent – that’s the stirring of the lees. This produces a rich, creamy, fresh, complex Pinot Grigio, unlike any you’ve probably tasted. Altesino is simply one of the top wineries producing Brunello di Montalcino. Their Brunellos are extremely collectable (ask me about the 2012! ), and their “everyday” Tuscan red doesn’t fall far from that tree. 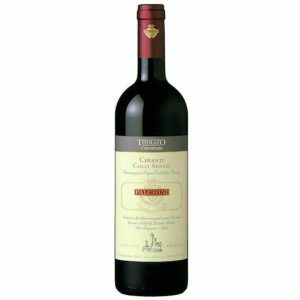 This wine is predominantly Sangiovese (Brunello) and the balance Cabernet Sauvignon and Merlot. The wine is fermented in stainless steel, then aged for 8 months in these tanks and then three more in aged barriques before bottling. 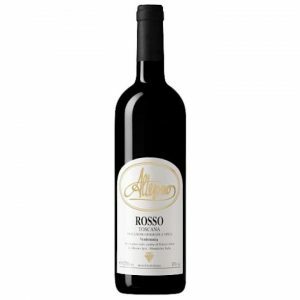 It is notably sophisticated for what is essentially an easy-drinking table wine, with plenty of morello cherry fruit mingling with old leather. While this would be excellent poured beside something as epic as Bistecca alla Fiorentina, it would also be perfect with porchetta sandwiches, or veal cutlets, or cold meats and cheeses. Is it too early for lunch? Due to the world class quality of his wines, the late Riccardo Falchini was one of Tuscanys most respected winemakers. Following Riccardo’s guiding principles, sons Michael and Christopher produce the region’s finest Vernaccia di San Gimignano and Chianti Colli Senesi and award winning “Super Tuscans”. Falchini planted their first vineyard in 1968 and today boasts the finest and most modern equipment and techniques in the area. The wines of Colli Senesi or “Sienese Hills” has brighter acidity and more floral character than its Chianti Classico cousins, due in part to the elevation of the vineyards and day-to-night temperature changes. So, this wine shows itself as really aromatic, elegant and poised. This makes for one heck of a house wine! 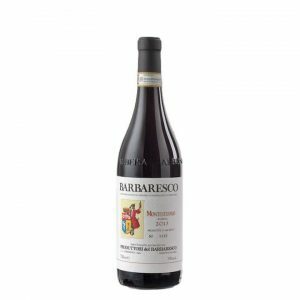 Only in exceptional years does the Produttori del Barbaresco bottle its single-vineyard Riservas. These wines are rare and collectable. They are also outstanding value for the quality. 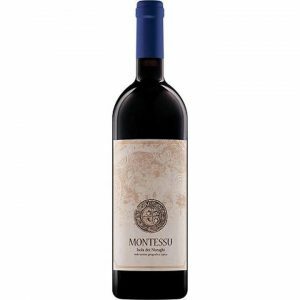 Montestefano is a limestone and clay vineyard, with soils rich in calcium with sandy veins and it produces a Barbaresco that displays intense spicy fruit, tight, powerful tannins and a long finish. Sebastiano Rosa, who is the talented hands behind Tenuta San Guido (Sassicaia) is making some really exciting wines in exotic Sardinia. TThis wine is built around Carignano, which is my new favourite red varietal. It brings the weight and fruitiness that Cabernet and Shiraz fans look for, but lacks lock-down tannins of Cabernet and has a bright, citrusy acidity, which makes it a great blending partner for other varietals. 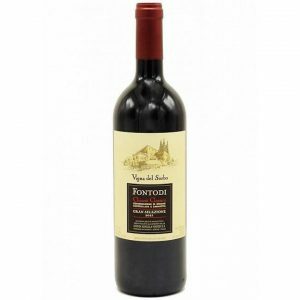 One of the greatest reds that we offer is the Vigna del Sorbo – an absolute skyscraper of a wine. Powerful and long, its tannins are very present and at the same time almost imperceptible, woven into a tapestry of fine acidity and dark, earthy red fruit. This 100% Sangiovese comes from four-decades-old vines in the southwest-facing Vigna del Sorbo vineyard. 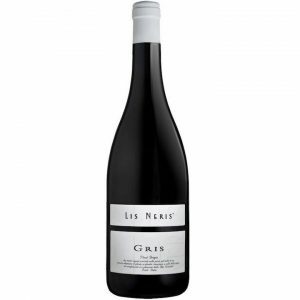 The fruit is fermented by indigenous yeasts in stainless steel tanks and then the wine ages for about 28 months in Troncais and Allier barrels. 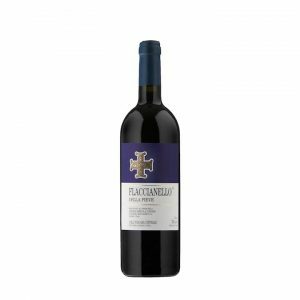 If you know of a Tuscan wine that receives more consistently high scores and critical acclaim than Flaccianello, while staying below $175, I’d like to know what it is. Italian wine fans all know the “big names” – Ornellaia, Sassicaia, Solaia, etc… but I don’t want to shell out $175 or more for Tuscan Cabernet. If I’m drinking Tuscan wine, I want Sangiovese and I want bang for my buck.